CLEVELAND — Long before the first cut of meat gets placed in his display case, Vince Bertonaschi, of Vince’s Meats, is hard at work. On Mondays, the longtime vendor at Cleveland’s historic West Side Market carves out a day, to carve out each of the cuts he sells throughout the week. Clothed in a white butcher’s apron, a black cap and the vigor of someone who clearly loves his job, he cuts and saws his way through whole quarters of beef, including the hearts, livers and tongues. 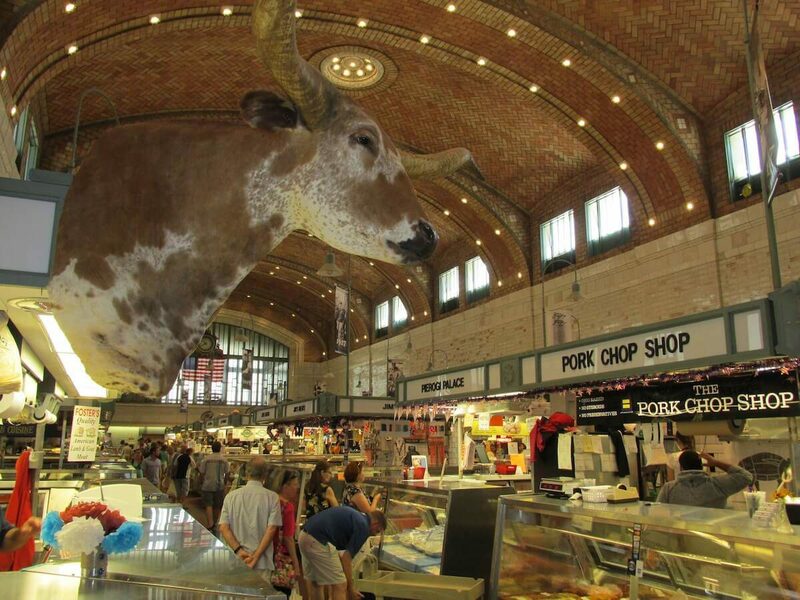 The meat is cut in his own personal meat shop located beneath Cleveland’s 103-year-old West Side Market. 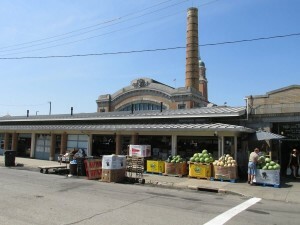 Bertonaschi has operated a booth there for nearly 30 years, and his experience at the market and Cleveland’s former Central Market dates back to his boyhood. Bertonaschi, now 66, started working for the Central Market when he was only 14 — a time when he needed cash and something to keep him busy. Some of his friends were getting into trouble. But the market — and the work ethic he acquired — helped keep him honest. “When those (young) guys were going off getting in trouble and into jail, I worked,” he said. He started cutting meat when he was about 20, and at one time worked for as many as five vendors at the Central Market. 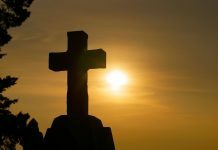 That honesty has carried him across his career, which included a 10-year stint for a grocery store, two years of community college and some time in the military. He began Vince’s Meats about 30 years ago, and his all-beef display cases make up one of West Side Market’s most visited booths. 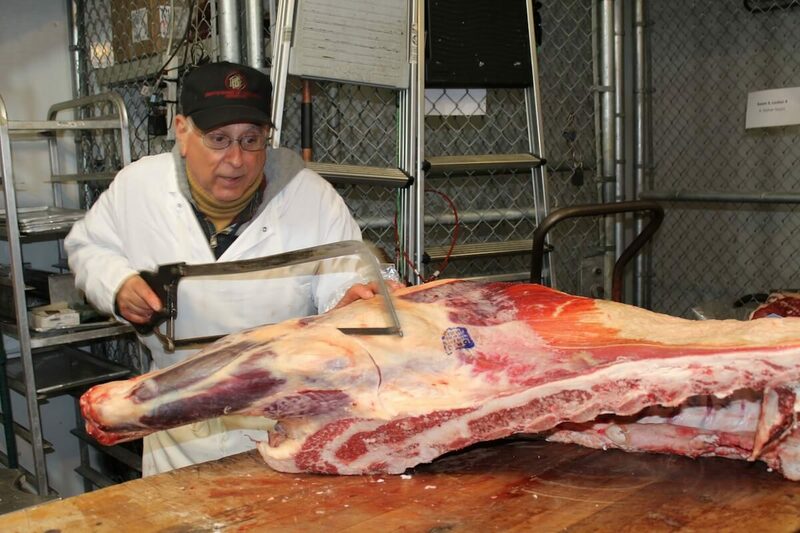 Like most of the meat vendors at the market, his products begin on Ohio and Pennsylvania farms, where they’re raised and sold to meat processors, butchered, quartered and trucked to the market. Michael Turczyk, of Turczyk’s Meats, buys his lamb and goat meat from Heffelfinger’s Meats, in Ashland County. Heffelfinger’s in turn buys live animals from livestock sales like Mount Hope, Kidron and Mount Vernon. Turczyk has frequented the market since he was a boy, when he attended with his grandmother. He helped carry groceries and got to know many of the vendors. Related: West Side Market faces hurdles and opportunities. He started working at the market when he was 12, at one point working for Bertonaschi and learning to cut meat. Now 42, Turczyk owns his own stand, started in 1954 by the late John Bistricky. He offers halal lamb and goat (meat processed according to Islamic requirements), and plans to start selling beef in September. Like Bertonaschi, he cuts everything fresh, and works with his customers to create exactly what they want. Bertonaschi gets his beef from Mahan Packing, located in Bristolville, Ohio. And Mahan buys live beef cattle at area livestock markets. Bertonaschi sells about a side and a quarter of beef a week, plus oxtail, tripe and organ meat. If something isn’t suitable for the plate, he sells it as pet food, usually dog food. “This is all stuff that is good for them (dogs),” he said. But the real draw is the freshness, and the uniqueness of each cut. He recommends cuts to some of his return customers, based on what he knows about their preference. And all of what he sells is fresh — usually prepared the same week. That same sense of freshness — and diversity — is what has drawn customers to the West Side Market for more than 100 years. In addition to meats, which include beef, poultry, pork, lamb, seafood and rabbit, the market also includes a full line of fruits and vegetables, as well as baked goods. And the market is diverse in another way — seen in the people it attracts. “It’s not just representative of the diversity of ag, it’s also a great diversity of people,” said Councilman Joe Cimperman, whose Ward 3 includes the market. Different races, age groups and ethnicities can all be found at the market, for the same reason: They like food that is fresh, healthy and available. “You go there and you’ve got all of this wonderful food. Food makes people happy,” Cimperman said. Cimperman has memories of shopping at the market since he was a child, and now he and his own children shop there. “There were things we couldn’t get as good in other places,” he said. Rick Calabrese, of Calabrese Produce, is the third generation of his family to sell produce in Cleveland. He’s owned his own stand for more than 30 years. “It just gets in your heart and you love it,” he said. And so do his customers — many of them regulars — who have come back for years. Jim Milan, of Rocky River, has bought produce from the Calabrese family for about 40 years. He said their quality and consistency is what keeps bringing him back. Bertonaschi is not the only meat vendor. In fact, there are nearly 40 meat vendors, and more than 100 vendors total. But each does something different — even when serving the same product. If he doesn’t have what someone wants, he points them to someone who does. Bertonaschi has cut meat for so long that he can carry on a conversation and cut meat at the same time. At least, he managed to do so on the day that Farm and Dairy visited — along with answering about a half-dozen phone calls that interrupted his cutting. But he’s used to the hustle and bustle — something that only increases during the week when customers arrive. He tries to have everything prepared before Wednesday, when he mans his booth upstairs. A few times, he’s left the booth, to go make cuts while a customer waits — only to find out the customer has left when he returns. It’s part of the in-and-out style of today’s shopper, and he’s used to it. The century-old market faces some important decisions about its future. Parking is limited, and the structure, built in 1912, needs some renovation. The market is owned by the city, which rents space to the vendors. 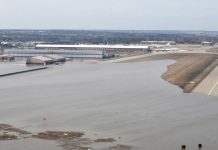 It draws about 1.2 million people a year, according to Cimperman — more than the Rock and Roll Hall of Fame and the Great Lakes Science Center combined. The city and the vendors disagree about the best path forward, but one thing they do agree on is the positive impact the market has had. 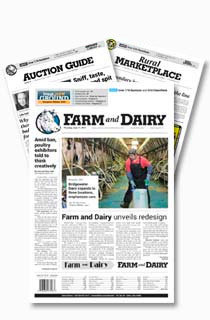 Cimperman said many of the market’s customers never make it to the farm — but because of the market, the farm is brought to them. Hi Chris, Just letting you know there is a new meat market in Carrollton providing fresh cut beet and pork right from the farm. Trying to bring back the old meat markets in the area, by processing, smoking on the premises. Thought you might be interested. Thanks for you time. Love the article and video of the Cleveland meat market. Check us out on Facebook…Butcher’s Block Meat Market. Thank you Tammy! I’ll be sure and check out that link. 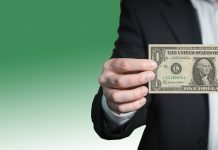 Good article Chris – I hope to visit the market in the next week or so. Thank you Hannah! Enjoy your visit. I like your style of writing. You not only mentioned where the vendors get their meat, but where the suppliers get it from too. It helps make the connection. Thanks, and Good job! Thanks Kristine. It’s a neat place, and even though it’s not really farm country in a big city, it’s still neat that farm products are brought in.